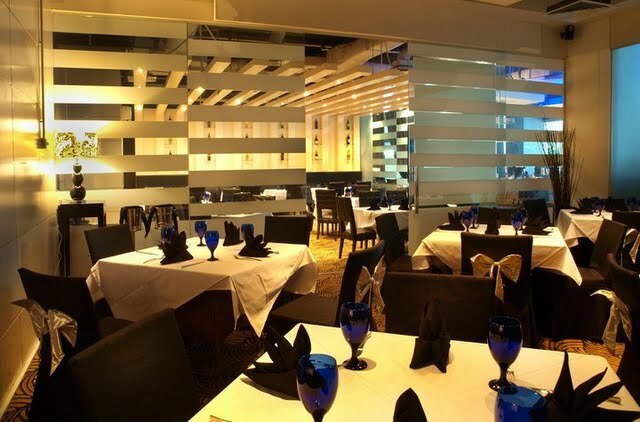 Dine in style at MED. @Marche-Live, Renaissance Kuala Lumpur Hotel with their charming new Executive Chef, Andre Conte and their brand new menu! MED. @Marche-Live aims to bring guests an interactive dining experience with a whole host of new offerings. 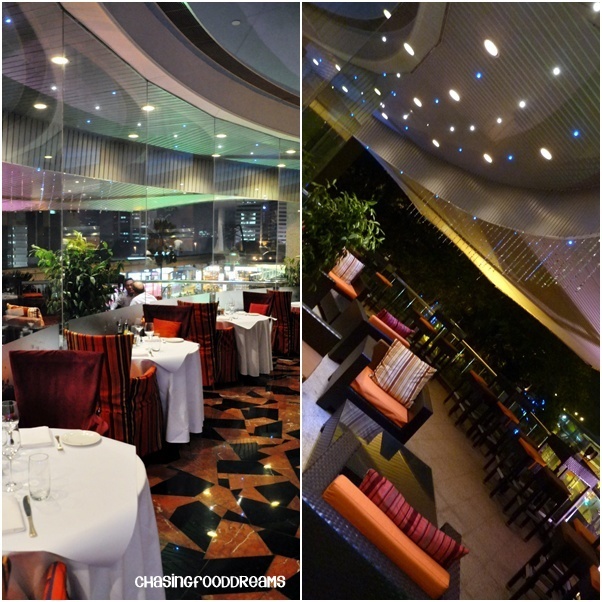 Guest can now enjoy some R&R in the comfy ambience of the all new alfresco terrace overlooking the spectacular KL Tower or, lounge around the Mixology Bar for pre-dinner cocktails and aperitifs. The open concept restaurant boasts a distinctive new menu that is balanced with both familiar and unique Italian dishes, providing great flexibility to offer a variety of Italian “comfort” food, as well as northern Italian specialties. Executive Chef, Andre Conte has been with Renaissance for about three months plus and has designed a brand new menu from his abundance of culinary experience from various parts of the world. Originating from the elegant city of Turin in the province of Piedmont, a region famed for its rich cuisine and culture, Chef Andre is set to take guest on a tasty food tour with the Piedmont Quattro at MED.@Marche-Live. The fresh simple flavors of Italian dishes are timeless in style and appeal; hence Chef Andre Conte and his talented team places great emphasis on the flavors and freshness of the ingredients used coupled with straightforward and uncomplicated preparation. We had a lovely house made Sangria to start off that evening at their Mixology Bar. It was really a great relaxing moment with their wine and fruits cocktail and a gorgeous view of the city lights. The restaurant even has a rustic wood fire oven for the pizzas. Do make sure to order their house pizzas! We started off with a light antipasto of Carpaccio di Gamberi, Shrimp Carpaccio marinated with thyme seasonal crudités and celeriac coulis. The dish was light in seasoning, hence showcasing the fresh shrimps and seasonal vegetables accompanying it. It was something simple yet very refreshing for a starter. Antipasto Misto Marche consisted of four small plates of antipasto which was really delectable and I enjoyed it a lot. All the dishes go so well with their bread. Tomato and Olive Bruschetta was full of tomato flavors. I love this rustic antipasto and even make this at home sometimes. The one here had additional olives added which gives the flavors a good boost! Assorted Grilled Vegetables in Balsamic Vinegar showcases fresh vegetables char grilled till it imparts a lovely smoky flavor and is coated with a light drizzled of aged balsamic vinegar. Feta Cheese Mousse and Celery Crudités were summed up in one word, addictive! We requested for more celery sticks to mop up this creamy and rich dip that was just begging to be clean out! Our pasta entrée of Ravioli all’Aragosta con Insalatina di Zucchini e Concasse’ di Pomodorino Fresco sounds quite a mouthful but translated into Lobster Ravioli with Zucchini Salad and Vierge sauce. This was fairly light and again quite rustic. My only gripe was the ravioli skin was a bit too thick which can be remedied easily. Penne alla Carbonara got rave reviews from everyone at the table! We all agreed that the Carbonara sauce was perfectly creamy and luscious without being overly rich. Loads of beef bacon, egg and cream, the sauce really make this al dente pasta into a magnificent dish. It may be a simple and common pasta dish but the verdict for this dish was a Perfect Ten! Grigliata Mista di Pesce was a sight to behold with lovely smoky char grilled prawns, squid, sea bream, clams and mussels. I also loved the fact that grilled lemon was served and when doused over the seafood, it really lifts up the freshness of flavors from the ocean. Battuta di Manzo alla Griglia con Pomodori Ciliegini was a 12 oz Thin Beef Steak Grilled with Cherry Tomatoes. The dish focuses on the natural beef flavors that went quite well with the grilled cherry tomatoes. I quite enjoyed this for its simplicity. Costolette di Agnello alla Brace e Trevisana Grigliata was a Charbroiled Lamb Chops served with Grilled Radicchio. I do have to admit that hotels get the best cut of lamb!! The chops were tender and juicy and I could certainly enjoy quite a few chops of this. The grilled radicchio lended a slight edge and bitterness which was part of the rustic and unique flavors to the dish. With such a wonderful Italian meal, one must have their infamous dessert to end the meal. Tiramisu was traditionally made and enjoyable. I don’t mind a bit more alcohol to enhance up the flavors but the coffee and chocolate used was of good quality as it rich enough on its own. A lovely Semifreddo all’Amaretto needs a good quality of richness from the cream and the one here was rich and smooth. Chock full of chocolate chips, the Semifreddo also had a lovely hazelnut sauce to go with it. Must order here! It’s been a while since I sample such basic and rustic Italian meal. This is certainly a lovely experience as the showcase of freshness and simplicity really brings out the authenticity of the Italian cuisine by Chef Andre. These are the dishes that true food connoisseurs crave and some has even traveled all the way to Italy just to get a taste of this cuisine. We are lucky nowadays as we do not need to travel far but just a visit to Renaissance to sample true flavors of an Italian experience all the way from Piedmont!! Guest dining at MED. @Marche-Live is welcome to watch the chefs in action at the display kitchn as the chefs prepare the dishes or doodle away at the dining table while the meal is being prepared. Diners may stand to win a complimentary dinner on their next visit to the restaurant should their doodle artistry make it to the restaurant’s wall of fame. MED. @Marche-Live is open on Mondays to Saturdays for dinner from 5.00pm till late and is closed on Sundays and Public Holidays. *Thanks to Cik Nor Aizan and BBO for the lovely invitation. 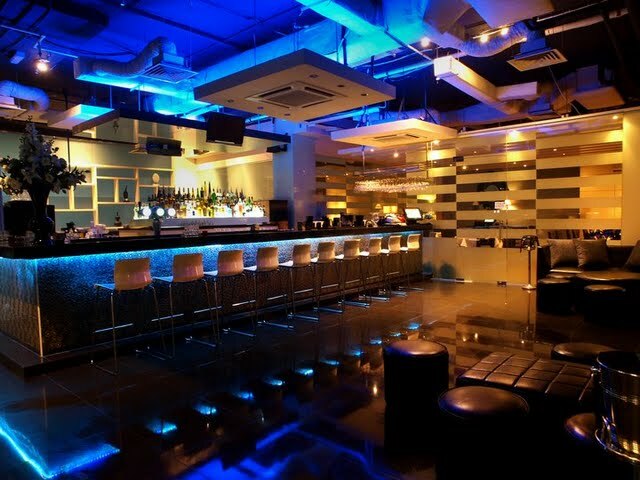 EurAsia, Bar & Bistro, Damansara Heights: Starry Starry Night! EurAsia, Bar & Bistro was every inch the modern contemporary restaurant and bar the business area needs to jazz up the office blocks. Gorgeously designed and classy to boot, EurAsia is a new Fusion concept bistro simulating a fine dining experience with the best wines & spirits. It is ‘The Place’ to hang out after an exhausting day at work to enjoy the day’s worth of chilling out time. A group of us were graciously requested to their grand opening to preview what the Fusion of European and Asian Cuisine has to offer. The event was indeed impressive with its A-List guests and launching ceremony.I just love the décor of the launching of the bistro as it was so romantic and yet elegant. Check out the classy ambience with its pristine white table cloth to blue water goblets. There is even a room which can be turned into a private room with the glass doors closed to cater for private functions. The bar is another gorgeous open section with blue neon lights and white high chairs. Black leather couches adorned the bar area for a jazzed up feel. Champagne popping was sure fun! Every special occasion deserves a champagne popping session! Ribbon cutting ceremony signified EurAsia is now officially launched… welcome to EurAsia! Everyone was thrilled and smiles were everywhere that night! I managed to take an exquisite picture of the lovely and charming Amber Chia! That is one nice lady as she is so famous yet so humble and friendly. Her hubby and cute son were there too! We were also treated to a fantastic performance by these hot ladies. After the launch, we were ushered into the private room for a meal to indulge with the stars! Unlimited flows of bubblies with strawberry for all from the generous owners. If I am not mistaken, it was Nicholas Feuillatte Champagne with its fruity and fresh scent and flavors! We had a Mix Salad Greens and Asian Seaweed topped with Wafu Dressing to start off. I love the seaweed and dressing for the crunch and the flavors. Our appetizer of Pan-Seared Foie Gras with Volcano Maki was to-die-for! Foie Gras was seared well on the outside and the inside remains a creamy and rich finished. Simply superb!! Volcano Maki was a lightly torched maki topped with a special creamy sauce and salmon roes. I was on Cloud Nine as this pairing was a match made in heaven!! Our entrée of Surf and Turf with Pan-Seared Salmon, Grilled Lamb Rack and Jumbo Prawns with Trio of Exciting Sauces was ever so prettily presented. Salmon was nicely cooked without being over and prawns were nestled on a really awesome mashed potato. Succulent and juicy, the grilled lamb with peppers was absolutely stellar! The only gripe here was it was hard to cut & eat the trio but the taste and quality was outstanding. Another lovely shot of Amber with Yvonne! The Owner’s lovely wife with his mom. Both ladies were really friendly and I had a good time chatting with them during my dinner. They told me how proud Raymond is of his new baby, EurAsia and a little about his background from working overseas for quite a few years before coming home. Raymond is also a chef and has also worked at Yuzu @ The Gardens before opening EurAsia. This explained his creativity in fusioning European and Asian cuisine together. EurAsia certainly shows great potential in its menu and ambience. The food was creative masterpieces with quality and great flavors. EurAsia is certainly out to impress and I believe it succeeded that night. One can even proceed to the bar for some fun after dinner or even before (wink, wink). The overall fine dining experience was a night to remember!